Pictures are taken in 32-degree weather and it's hard to clean the decks with everything freezing. There are some stains on the carpets that need cleaning; it seems like normal work as the carpets are not worn. Seller state everything is in good operating condition. Travel canvas has tears near the bimini rails from travel. The bottom will need to be painted in the spring, Stock #160220 FOUR WINNS 268 Vista is a trailerable cruiser boat with a standard pickup. 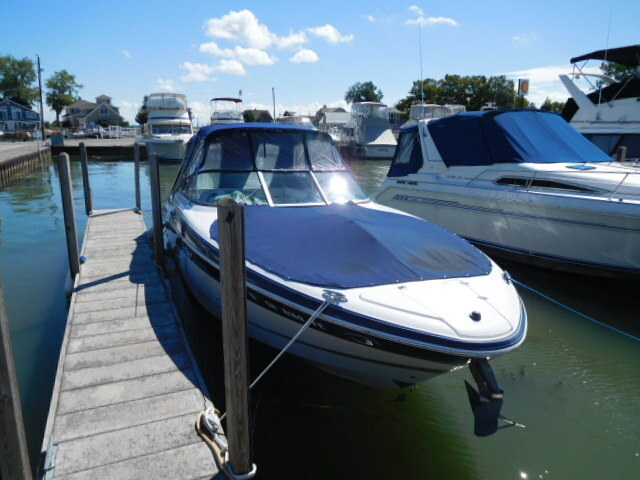 If you are in the market for an express cruiser, look no further than this 2000 Four Winns 268 Vista, just reduced to $25,000 (offers encouraged). 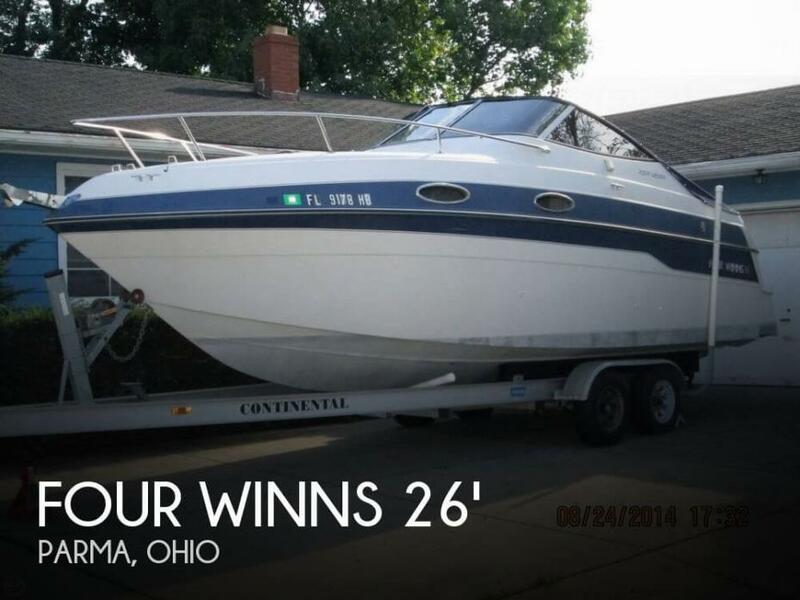 This boat is located in Batavia, Ohio and is in good condition. She is also equipped with a Volvo Penta engine. 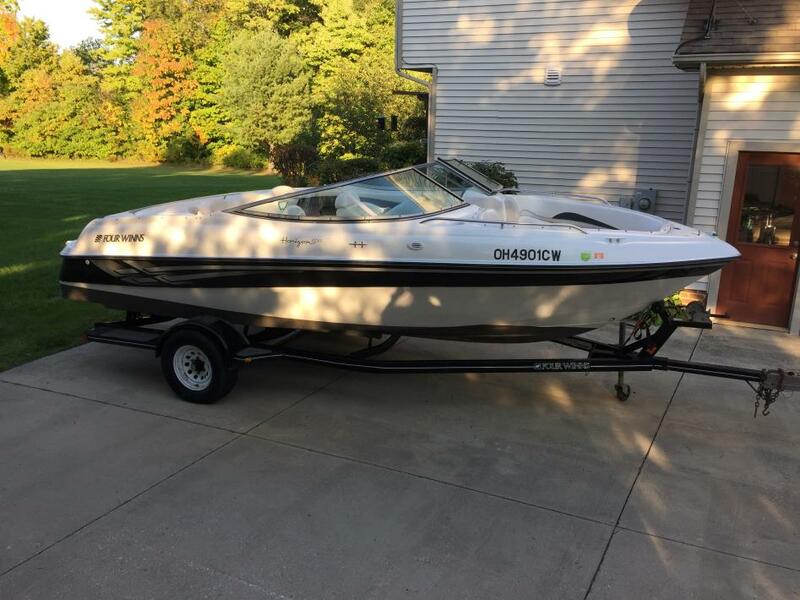 Reason for selling is looking to move to a larger boat. 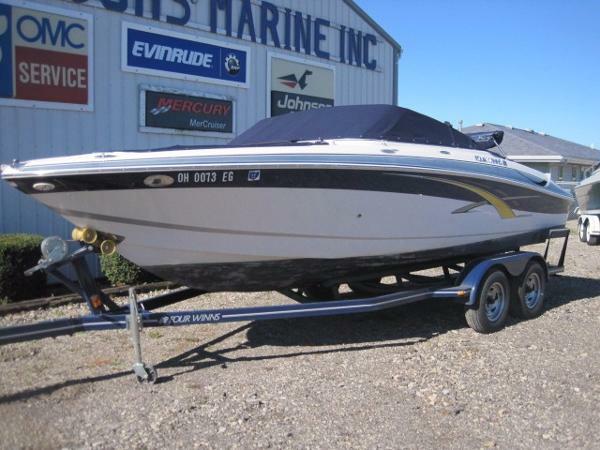 2007 Four Winns 200 Horizon One owner, fresh water lake use, Four Winns bowrider powered by Volvo 5.0GL with 271 hours. Includes bimini top, bow and cockpit covers, stereo with CD and MP3 port, stainless prop, trailer and sunny yellow exterior. Located in Cincinnati. All trades considered. 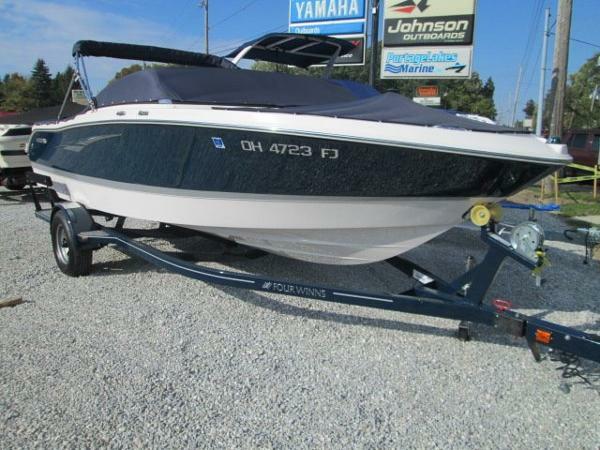 2006 Four Winns 180 Horizon GARAGE KEPT!!! EXTREMELY CLEAN!!! 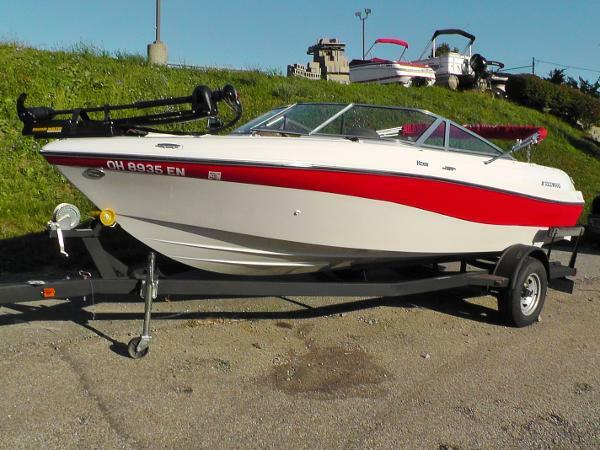 2006 Four Winns 180 Horizon Bowrider featuring a Red Hull Side. 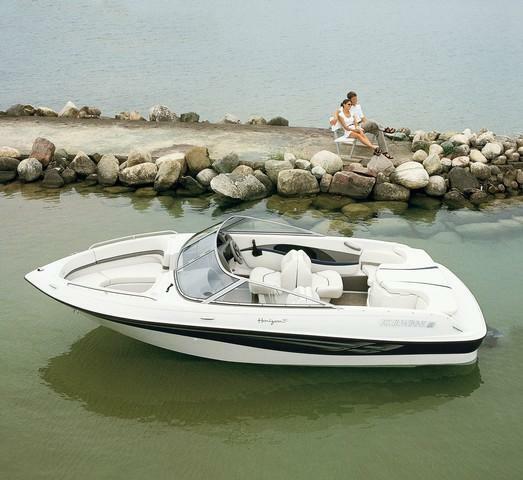 Powered by a 4.3L 190hp Mercruiser with an Alpha I Drive and Stainless Skeg Guard. 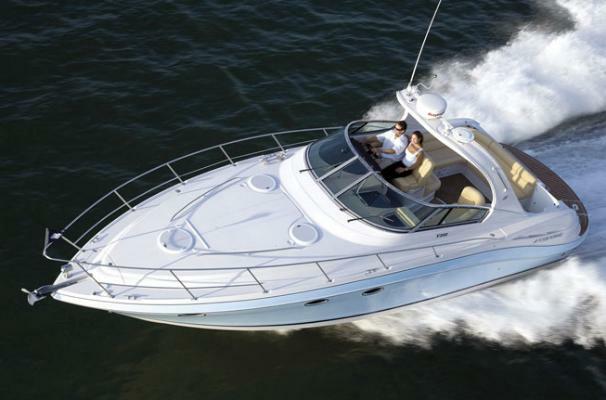 Features Include: Bow and Cockpit Covers, Bimini Top, Snap In Carpet, Twin Captain's Seats with Bolsters, Ski Locker, Depth Finder, Stereo with CD, Glove Box, Single Axle Painted Matching Trailer with Spare. 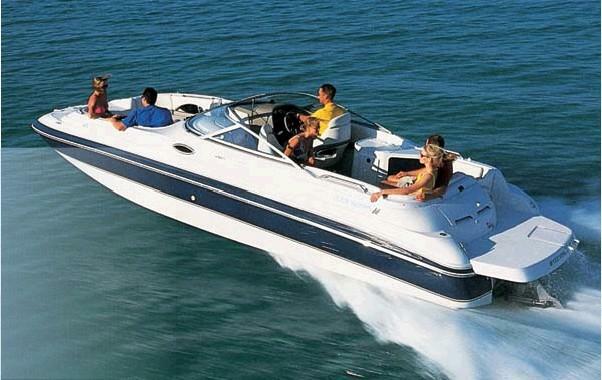 2007 Four Winns 310, Big water day boat with seating for 12. Spacious cockpit, comfort and versatility, enclosed head starboard side and single berth port. Trades considered. 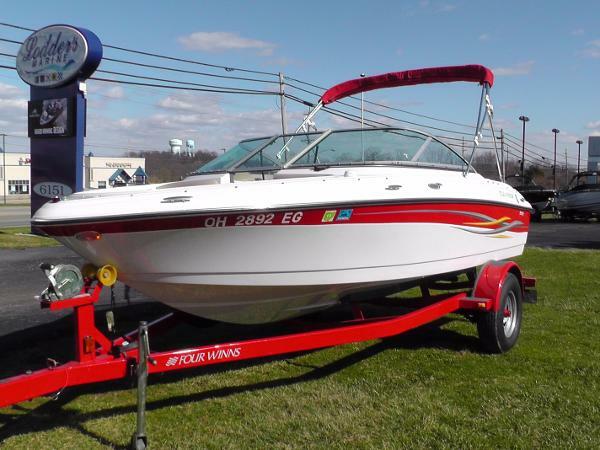 2008 Four Winns H210, Under 300 hours on this Four Winns bow rider. Was purchased here new and maintained here as well. Is inside storage and easy to see. Has bow scuff plate, table with mount, V-8...ready to go. Will just need some touch-up bottom paint and some wax on exterior. Interior just needs to be cleaned. Stop by or call the Marblehead, Ohio location for all the details. Trades considered. 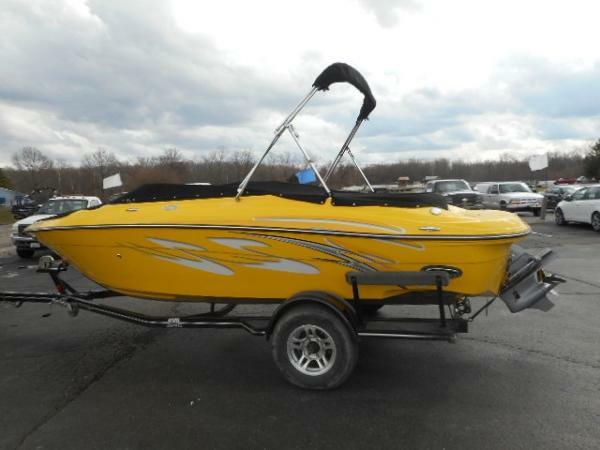 2008 Four Winns H203 2008 Four Winns H203 Bowrider/Fish and Ski Boat. Four Winns hit a Home Run with this H203 fish and Ski. 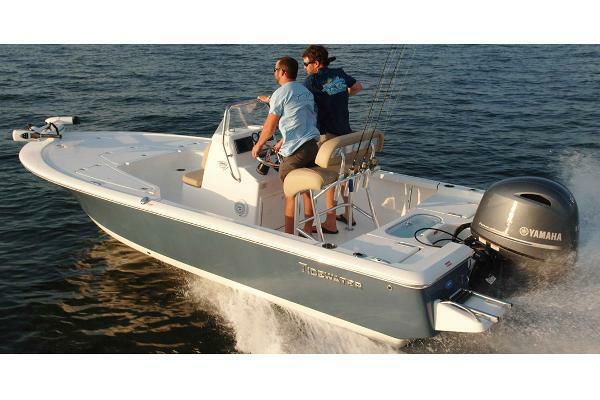 This is the perfect boat for family boating and the fishing trips. Featuring a beautiful White and Red Hull. Powered by a 4.3L Mercruiser.Complete with a Hummingbird Fish Finder, Minn Kota Maxxum 55/SC Troll Motor, Live Wells, Build-in Battery Charger, Build-in tackle box, fishing seats, Sony Stereo, Build-in Self Draining Cooler, Bow Storage, Bow and Cockpit Covers, New Custom Mooring Cover, Bimini Top, 4 Step Swim Ladder, and Ski Locker, and an Undercoated Trailer with Brakes and Swing Away Tongue, and New Tires. 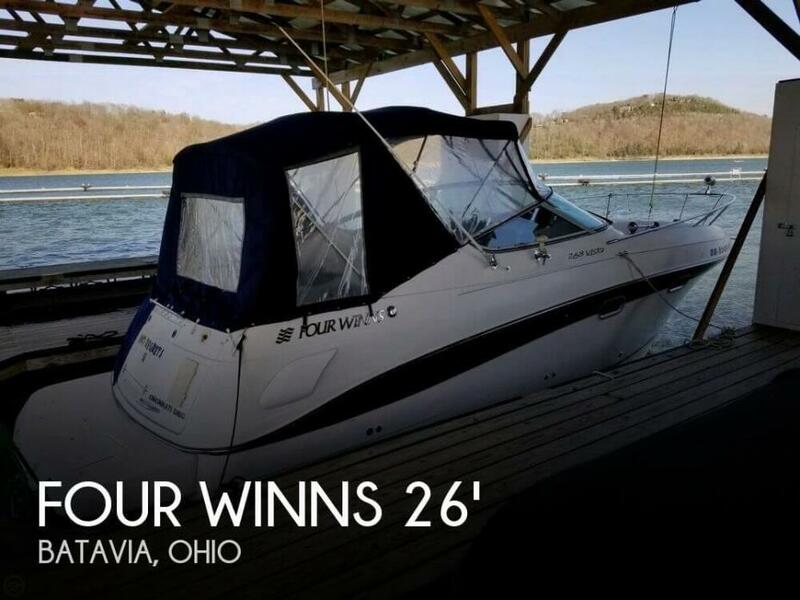 2009 Four Winns V358 2009 Four Winns V 358 Cruiser with Only 250 Hours! All Service was performed at Lodder's Marine and we have all the records. Features include: Axius, Radar Arch, Cockpit Enclosures, Aft Cabin, Dinette Table, Head with Shower, Refrigerator, Factory A/C, Snap in Carpet, Stern Rumble Seat, Boarding Ladder, Cockpit Cover, Deck Sunpads, Transom Stereo Remote, Macerator, Private Aft Stateroom, Cockpit Refrigerator, Aft Cabin Flat Screen TV, Cockpit Flat Screen TV, Swim Platform Rail System, Hardwood Cabin Flooring, Wooden Cockpit Table, Twin 350 Mag 300hp each Mercruisers with Bravo III Drives, Tri Axle Eagle Trailer with Brakes. 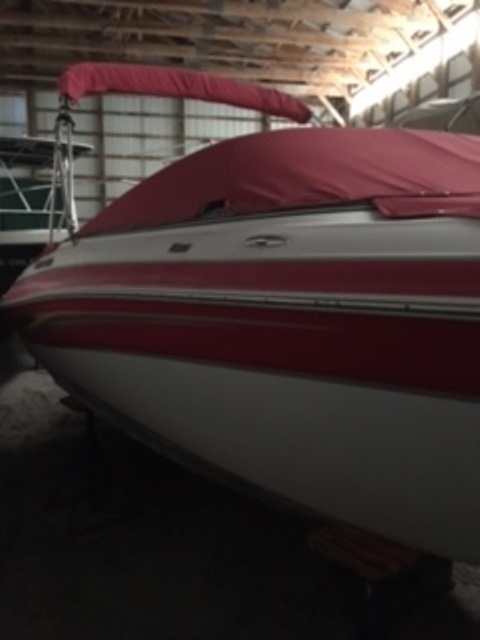 1 Owner and the boat was purchased new from Lodder's Marine. Photos and video coming soon. 2002 Four Winns 264 Funship This 2002 264 Four Winns Funship has plenty of deck space for entertaining. Powered with MerCruiser 383 Mag Stroker Engine produces 350 HP! I/O with Bravo III & S/S prop. Plenty of seating with coolers and storage, two Captain's chairs with fold up bolsters. The swim platform has a built in ladder with transom shower and radio controls with in reach. Features a pump out roomy head and the trailer is included.